Greetings from my table to yours this week. 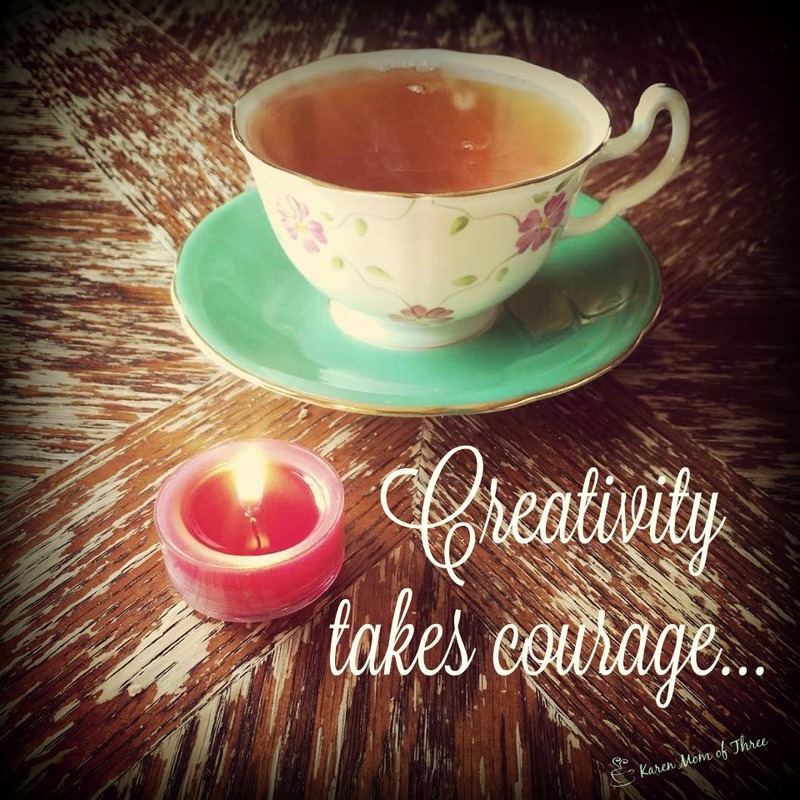 While I have had some wonderful books on my table this week I have also had some amazing people around my table and in my tea tent. 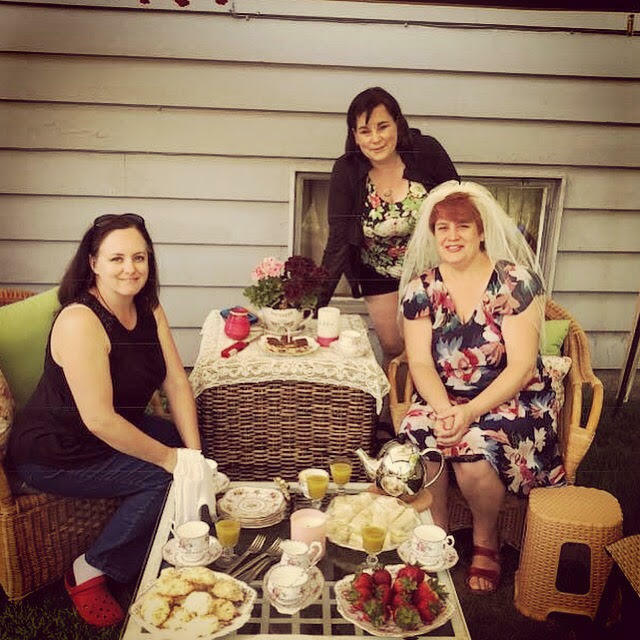 Simple pleasure of being outside and in the comfort of friends has lifted my spirit this week and filled my bucket for sure. “Whenever you are lonely just look at the spaces between your fingers and remember that’s where my fingers perfectly fit”- author unknown. 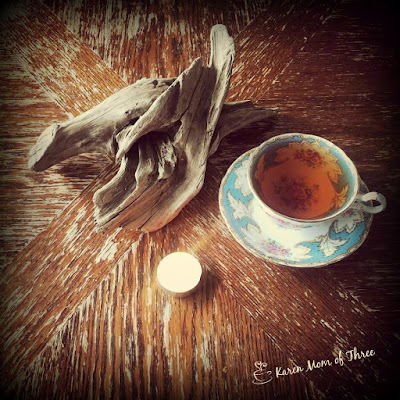 I found this driftwood on the beach his week when I was taking to my sister on the phone. It looked so much like a pair of hands. It is simple a beautiful reminder that we are not alone. I will start with what has been in my cup this week. 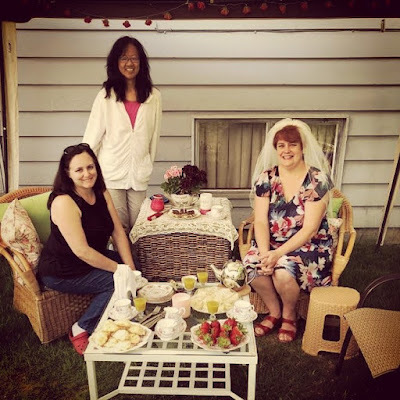 While my normal standby is the Vanilla Black tea I drink most often from Murchies, we have been enjoying the Wedding blend, Orange Pekoe and Murchies afternoon blend in the tea tent this week. The Murchies Afternoon blend is a delightful tea that was once called Empress Afternoon Tea and was served at the Empress hotel in Victoria for years. It is a favorite of mine and my guests. 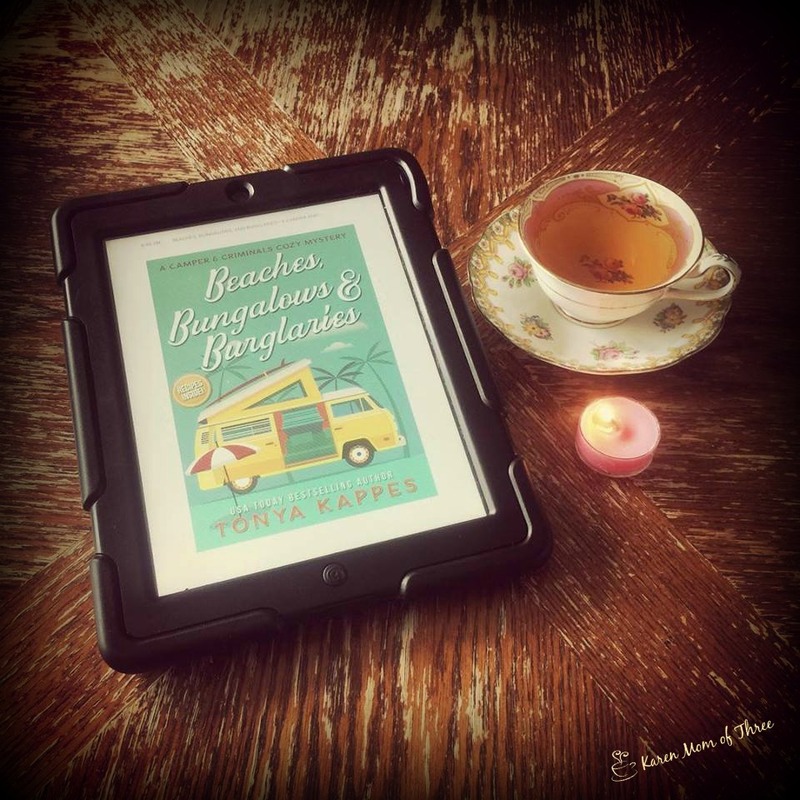 I ordered and am reading through Beaches, Bungalows & Burglaries by Tonya Kappes right now. 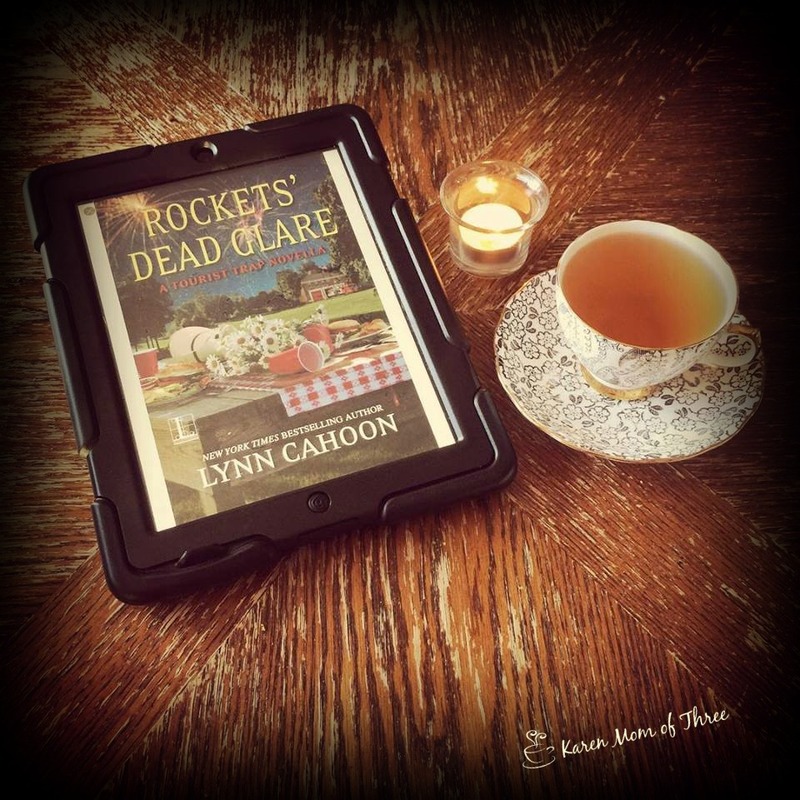 I ordered this book and already can tell I am going to love this series. 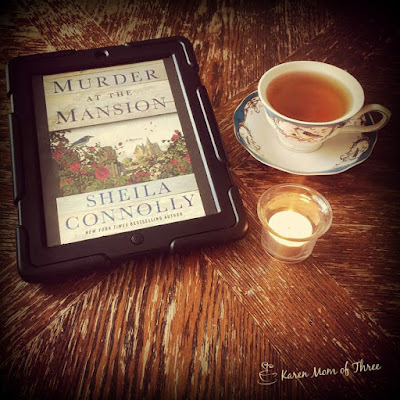 I read Murder at the Mansion by Sheila Connolly, a very good read and first in a new series. I also read Rockets Dead Glare by Lynn Cahoon this week, review coming up tomorrow. Love the Tourist Trap Mystery Series and this one was a favorite! 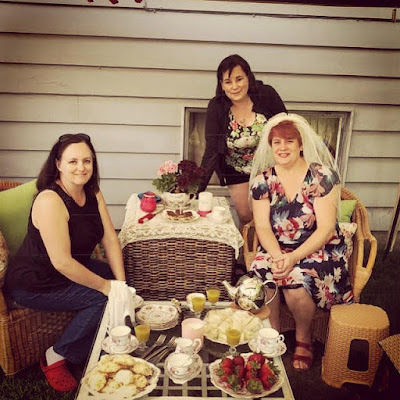 This was a very busy and fun week, from the Royal wedding last week to spending Victoria Day with my nieces and friends at the Victoria Day celebrations to enjoying time in the tea tent with friends, both photographed and not, a bunch of great thrift store finds, a new bear and great reads. I feel truly blessed.